I recently had the chance to ask co-creator of ZapCon: Arcade and Pinball Convention a few questions about the upcoming con, which is will be held on April 12 and 13 at the Renaissance Downtown Hotel in Phoenix (Check out ZapCon.com for admissions and a full list of machines). Check out the interview and spread the word on ZapCon as Arizona doesn’t really have anything else like this! LoS: Are you originally from Arizona? LoS: How long have you been into arcades and pinball? Wes: I’ve been into arcade games since the first day I set foot in an arcade. I must have been around 7. Pinball really grabbed me a couple of years ago when I realized there was way more to the game than just keeping the ball from draining. They can be very complex and exciting. LoS: Did you spend a lot of time in arcades growing up? Did you have a favorite machine? Wes: I spent as much time as I could, but that wasn’t really that much. We lived outside of Tucson and there wasn’t an arcade machine for miles, so my only hope was if we could talk a parent into driving us to one, which didn’t happen often. 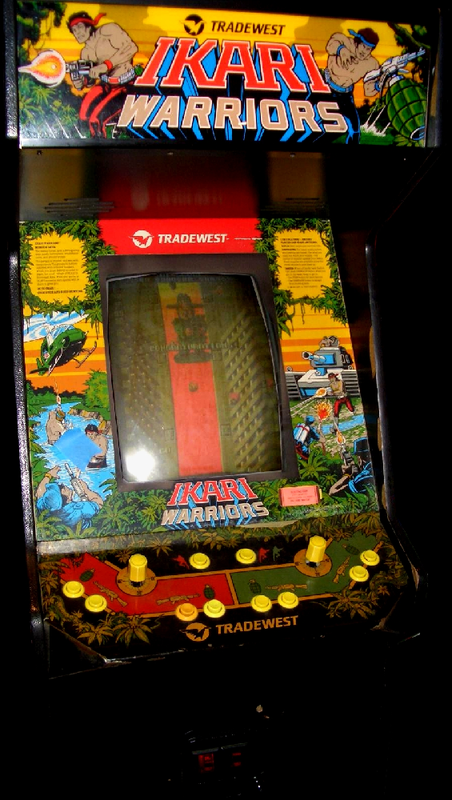 The game I have the fondest memories of would be Ikari Warriors. I used to play it until I could hardly move my wrists. I still love that game. LoS: When did you and your co-creator come up with the idea of ZapCon? Wes: Zack (the head honcho) and I went to California Extreme a couple of years back and thought, “Why isn’t this happening in AZ?” There used to be something like it here called the Wild West Pinball Fest run by Dann Frank and company back in the 90s. I actually went to one before they quit doing it. Fast forward to about a year and a half ago; I met Dann because he was having a yard sale and selling all kinds of awesome gaming stuff. I took down his number and we later picked his brain about running a gaming con. Turns out the CA Extreme guys used to come out here to help set up and run the Wild West show back in the day before starting their own thing in Northern CA. Sort of circular, eh? LoS: When putting ZapCon together, what factored into the decision of holding it downtown compared to other parts of the valley? Wes: We have collectors and attendees coming from all over the valley, so a central location is ideal. We also really enjoy working with the Renaissance. They’ve been very accommodating. LoS: This is your second year doing ZapCon, what’s the biggest difference in getting the convention put together compared to last year? Wes: A lot of the connections are already made so it’s easier in that regard, but there’s always new stuff that pops up. Things always change, and new challenges present themselves. LoS: What kind of growth would you like to see your convention attain? Do you have a goal in mind for 5 years down the road? Wes: I could see expanding into classic home console gaming. This year we’re planning an “Atari Lounge” featuring bean bag chairs and TV’s set up with 2600s. ZapCon could very well evolve into a “classic gaming” event instead of just “classic arcade and pinball”. LoS: Lastly, if you were recommending one arcade machine and one pinball machine to an attendee of ZapCon, what would they be? Wes: I personally like the rarities and obscure titles. Usually, however, there’s a good reason they’re rare… because they were stinkers. But it’s interesting to see them none the less. A lot of folks just want to see the classics, though so I guess it depends. Next Next post: Quick Interview with AZ Powergirl!